Our Oxford Voyager Portable battery is 24v 2.3ah and is light and easy to install. When using the battery, please ensure it's allowed to drain 80% prior to charges, the charges is a trickle charge system and when not in use, keep it in the Portable Battery Monitor and this will manage the battery for you. Be assured, all of our Spare Parts come with a 12 Month Warranty. For more Oxford Voyager Spare Parts, Click Here. The Oxford Voyager Portable Hoist can be combined with the Easytrack and Easytrack FS system to form a unique lifting solution. 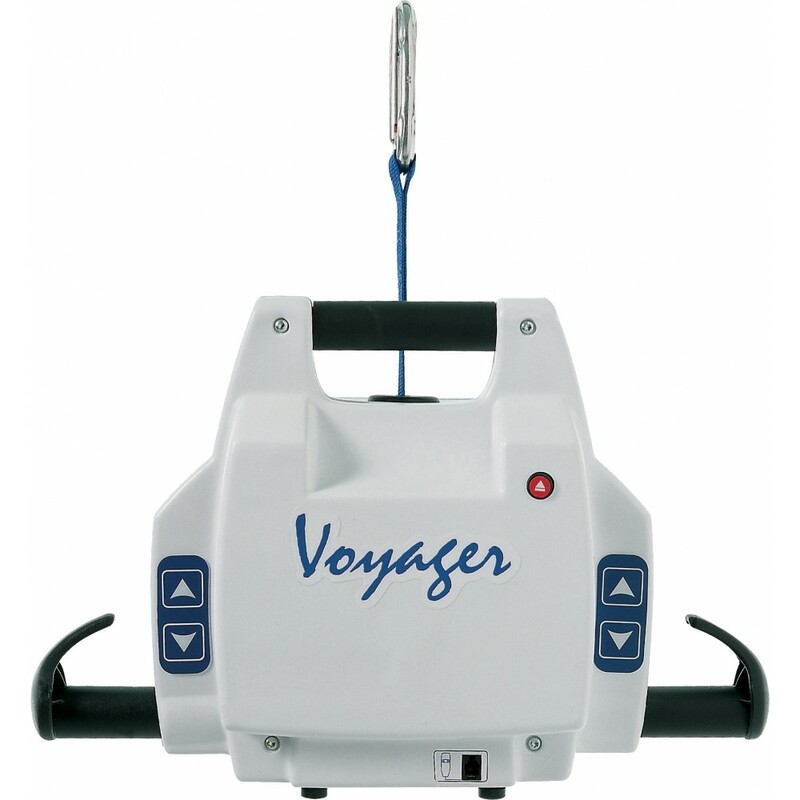 The Voyager portable hoist is lightweight but has a high safe working load (SWL) of 200 kg. The soft start and stop functions enables the user to be transferred securely and comfortably. The Voyager Portable also has a lightweight design and can be easily stored or transferred. The battery on the Voyager Portable can be removed for charging, there is also an audible Low Battery Indicator. Oxford Voyager Charger PackThis 24v 2.3ah battery charger/monitor is suitable for the Oxfo..